This custom was initially made to my friend who work for Bosch Service, who is the certified trainer for Bosch diagnostic tools. In real, they do have one company vehicle looked very similar to what I did. 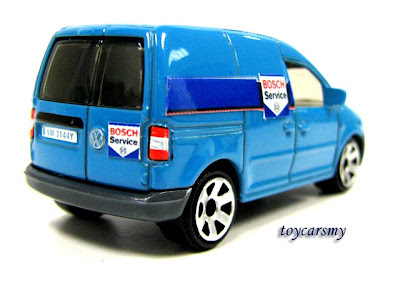 The Renault Kangoo is painted in Bosch blue and square Bosch Service logos on both side. 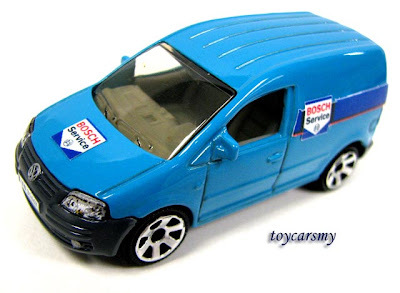 I would say the VW Caddy simply the replica of the real one. hi, is this car yours?